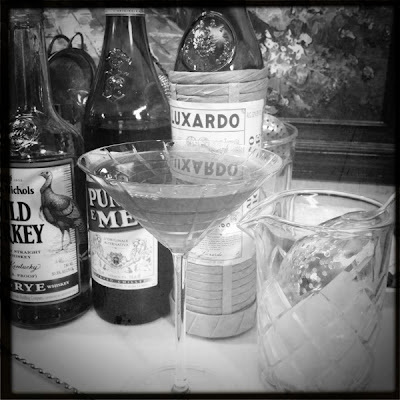 Created by Enzo Errico while bartending at Milk & Honey in New York. 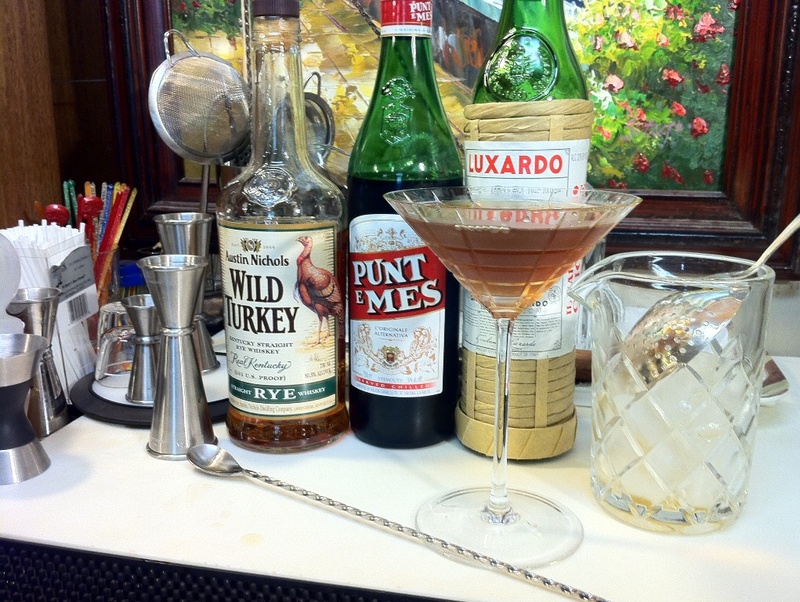 The Red Hook, named for a South Brooklyn neighborhood, is a newer variation on the venerable Manhattan. I love a good Manhattan, and I often find myself going for Punt y Mes for my mix anyway. With only 1/2 ounce of vermouth to stand up to the rye, there is a possibility of the drink being too dry for many tasters. 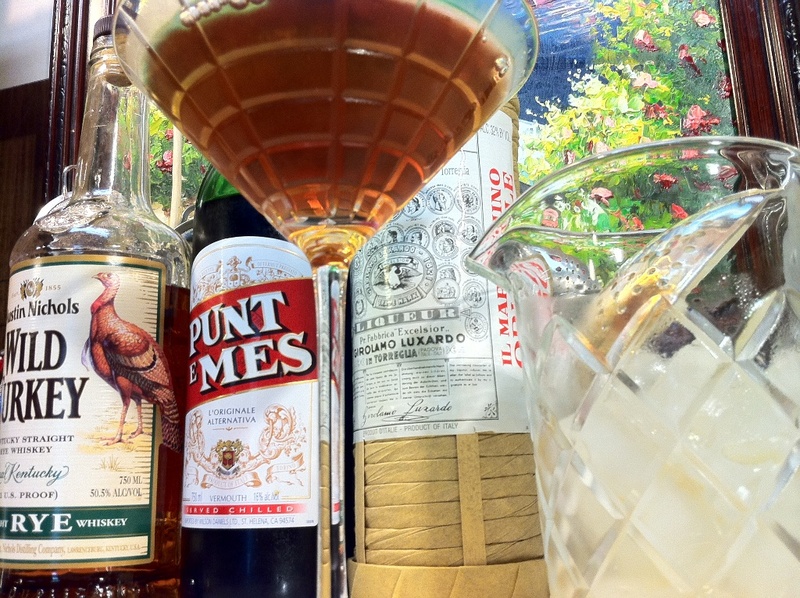 The addition of a generous 1/4 ounce of maraschino provides just enough added sweetness, and prevents the drink from becoming to dry and alcohol forward. Enzo left bitters out of this one, perhaps counting on the Punt y Mes's strong herbals and slightly Campari-like bitter profile to do all the work. While it is a very nice drink as-is, I've found that I do like the addition of bitters. Ango is fine, but wormwood bitters work especially well in this one. Here's an interesting fizz variation from 1892. From The Flowing Bowl, by The Only William (William Schmidt). Sitting Bull died on December 15, 1890, around the time William would have been working on his book. This is a good drink, so I'm of a mind that this recipe was meant to be a respectful tribute. Juice of large lemon, in 1892, would have been about an ounce. Fine sugar would be a (non-bleached, organic) granulated sugar, but a barspoon of simple syrup will allow for better mixing of the drink. 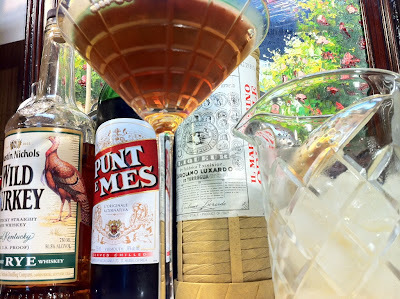 Santa Cruz rum of the day was a generic term for light, golden rums that came from the Virgin Islands. Cruzan is certainly a geographically correct rum choice. For my drink I wanted something golden, with good character - so why not Havana 7? William worked in the New York area, and since the recipe does not call for bourbon, or "Kentucky whiskey" by name, rye whiskey is a safe choice. My choice, Rittenhouse Bonded! 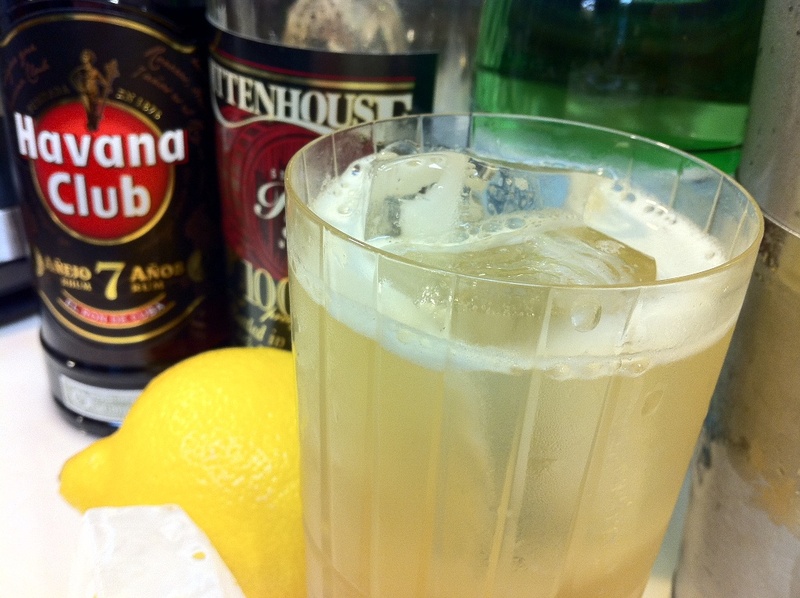 Shake well with cracked ice, strain into a collins glass and top with soda water. Stir with spoon and serve. This is fantastically good, especially on a hot day. A dash of angostura bitters really brings the flavors of the drink together nicely. 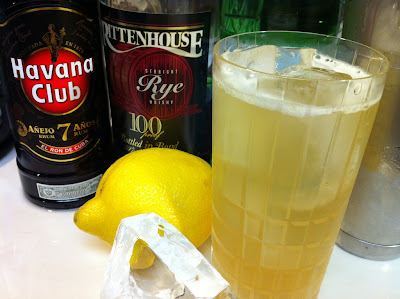 The Rittenhouse Bonded 100 proof base lends a nice backbone, but at only an ounce it is not overwhelming. 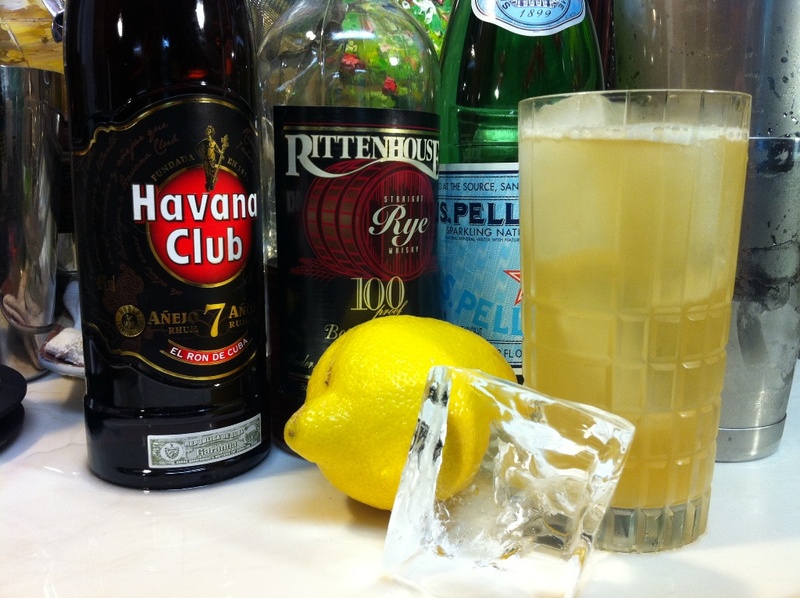 The Havana 7 lends a wonderful exotic sweetness to help the simple syrup balance the lemon juice.